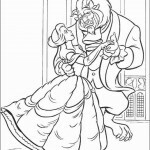 Beauty and the Beast is a 1991 American animated musical film produced by Walt Disney Animation Studios and released by Walt Disney Pictures. 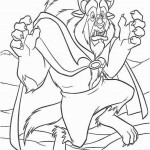 The story is based on the fairy tale La Belle et la Bete by Jeanne-Marie Le Prince de Beaumont and uses some ideas from the 1946 film of the same name. 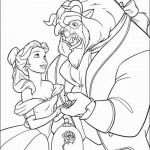 It centers on a prince who is transformed into a Beast and a young woman named Belle whom he imprisons in his castle. 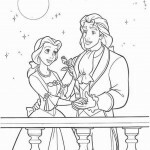 To become a prince again, the Beast must love Belle and win her love in return. 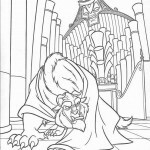 In our Beauty and the Beast coloring pages, you can see just how he’ll do this! 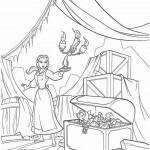 In the film’s prologue, an enchantress disguised as an old beggar woman offers a young prince a rose in exchange for a night’s shelter. 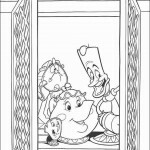 When he turns her away, she punishes him by transforming him into an ugly Beast and turning his servants into furniture and other household items. 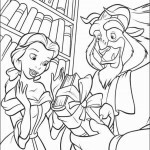 She gives him a magic mirror that will enable him to view faraway events, and she gives him the rose, which will bloom until his twenty-first birthday. 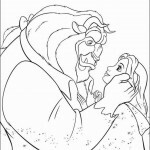 He must love and be loved in return before all the rose’s petals have fallen off, or he will remain a Beast forever. 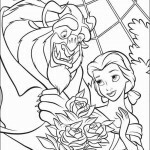 Will he be able to find love before this? 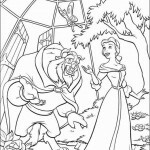 You can find out in our Beauty and the Beast coloring pages. 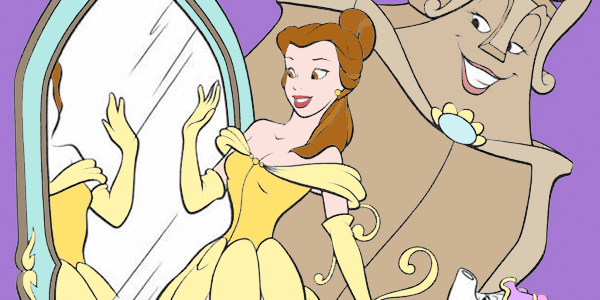 Years later, a beautiful but unusual young woman named Belle lives in a nearby French village with her father Maurice, who is an inventor. 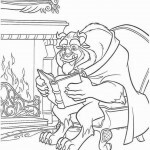 Belle loves reading and yearns for a life beyond the village. 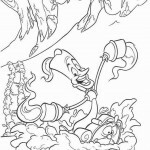 She is courted by the arrogant local hero, Gaston, but has no interest in him. 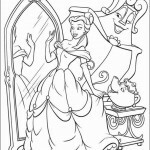 As you can see in our coloring pages, Belle is truly very beautiful. Maurice’s latest invention is a wood-chopping machine. 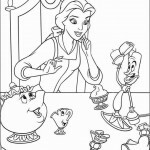 When he rides through the woods to display the machine at a fair, he loses his way and stumbles upon the Beast’s castle, where he meets the transformed servants Cogsworth, Lumiere, and Mrs. Potts and her son Chip. 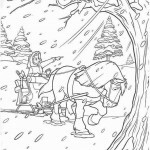 The Beast imprisons Maurice, but Belle is led back to the castle by Maurice’s horse and offers to take her father’s place. Are you done reading? 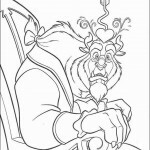 Then it’s time to scroll down to our Beauty and the Beast coloring pages!